I’m in Lithuania for the weekend. It’s snowing hard and the city of Vilnius is silent and to my London eyes, devoid of people. Maybe they Photoshopped shoppers into this shot (I’ll take my own later). 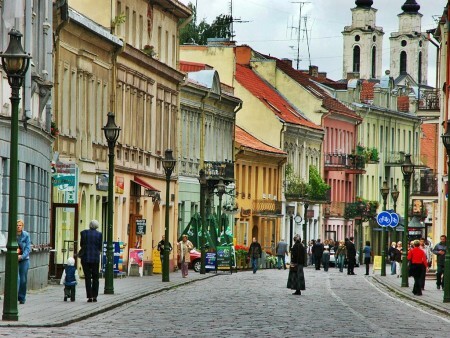 Vilnius has a population of just 2.2m, and is another country that escaped the yoke of the Nazis only to be ‘rescued’ by the Russians, who promptly deported the population to Siberia. 95% of the countries Jews were killed, along with all of its intellectuals and dissidents. The Russians finally starting clearing off in 1993, but as in other Baltic countries, they left behind a population who remain understandably wary and reserved. There’s a sense that at any time the Russians could return, especially with an aggressive, expansionist president in control. 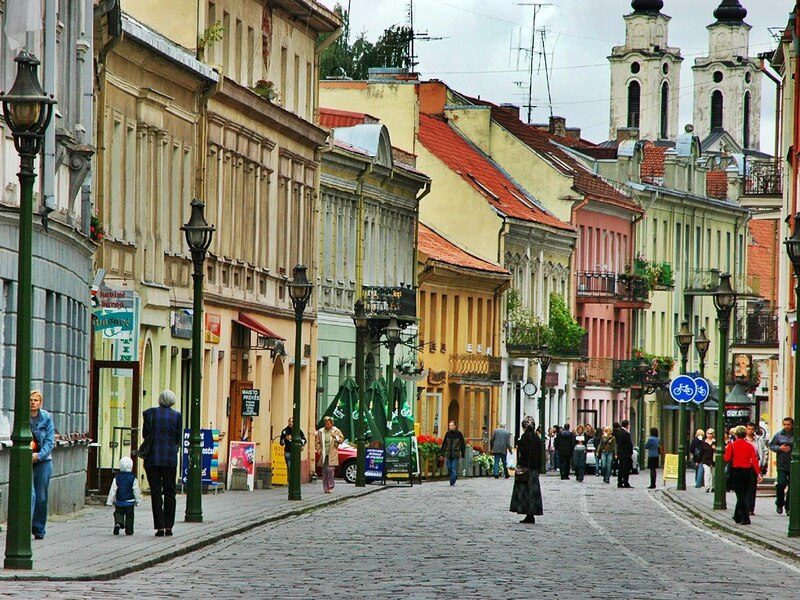 Lithuania has the fastest Broadband in the world, and is one of Europe’s fastest growing economies. Many people here speak multiple languages, and the standard of education is very high. Chatting soon brings out the smiles. Each time I visit another Eastern European or Baltic country I try hard to understand the fear and hatred of those who have sought asylum after being displaced, and am increasingly mystified, until I remember that those who are scared of difference have never experienced it for themselves. On that subject, here’s a story about one of them. Bill came to London from Albania at the age of eighteen clinging onto the underside of a cross-channel truck. He knew no-one and had no money, but had ambition and energy. Chancing his luck, he applied to the embassy for political asylum, and was allowed to stay so long as he found a job. He walked around London looking for work, and was finally taken on as an apprentice plumber for a small firm owned by Joe, a Polish migrant from Gdansk who had been in London for many years. Bill was smart and learned quickly. Soon everyone came to rely on him. He seemed able to fix anything, and worked incredibly long hours. During the financial downturn, Joe’s plumbing company went bankrupt, and he could no longer finish the jobs he had started. He was ashamed of letting down his clients, many of whose jobs he’d started before going broke. Those were very tough times. So Bill rounded up a few mates, and after checking Joe’s client list they went around and finished all of the jobs he had undertaken free of charge in order to get Joe back on his feet and save his reputation. Eventually Bill started his own company, and the first thing he did was to employ Joe as his chief plumber. They’re the best plumbing company I’ve ever used. I’m off to talk to some locals. It’s a real dilemma. Decent human stories like Bill’s as against the prospect of seeing Cameron completely humiliated by his short-sighted, stupid referendum. The “compromise agreement” we’ve just heard about sounds like Little Englanders to me. What about French, German, and Dutch culture? And who was seriously involved in partitioning the Middle East in 1919? We’re only on the edge of the problem (or opportunity depending on your viewpoint) because getting across the Atlantic isn’t easy but at least refugees don’t have to pay back the cost of their air fare and they will be covered for health care. Too bad all those big old houses were torn down since we’re now frantically looking for housing for six and seven member families in a market set up for singles and childless couples. At this rate Syria is soon going to have zero population.